God sent Pastor Ernest E. Jeffries, a highly anointed man of God, to earth on May 10, 1967, in the city of Union, SC. Pastor Jeffries attended Jonesville High School and subsequently pursued his undergraduate education at the University of South Carolina at Columbia, where he received a Bachelors degree in Music Education. He also pursued and attained the Masters Degree in College Administration at the University of South Carolina at Columbia. 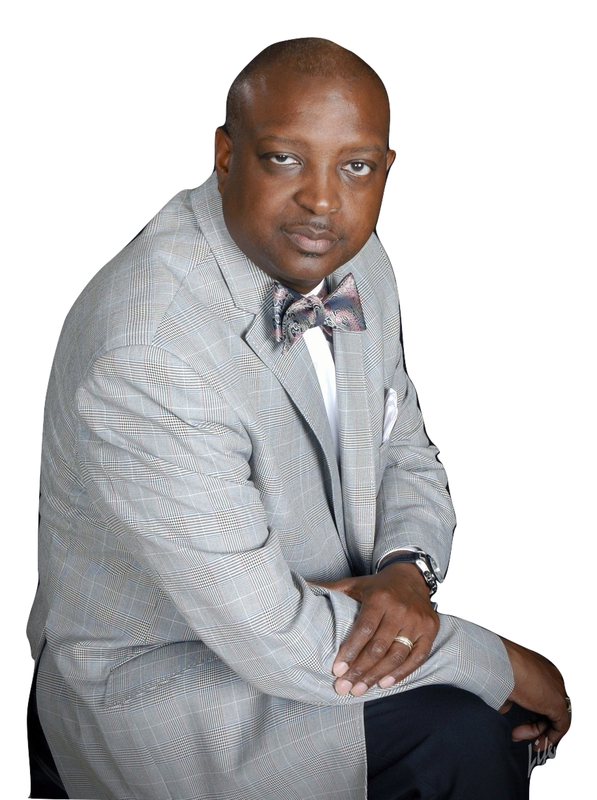 Pastor Jeffries also holds a Master of Divinity Degree from the Hood Theological Seminary in Salisbury, North Carolina and a Doctorate of Ministry Degree from United Theological Seminary in Dayton, Ohio. Upon leaving the University of South Carolina, Pastor Jeffries engaged in employment at the University of Tennessee at Knoxville and Western Carolina University. For the past seventeen years, he has served Davidson College as the Assistant Dean of Students. Pastor Jeffries answered God's call to formal ministry in 1995, under the leadership of Pastor T.L. Smith, at Johnson Memorial Church of God In Christ in Asheville, NC. Soon thereafter, God sent Pastor Jeffries and his family to the Charlotte area, where he served for eight years in the role of Associate Minister under the auspices of Superintendent T.A. Murphy, at the New Bethel Church of God in Christ (GOGIC). In March of 2004, God called Pastor Jeffries to serve as the Pastor of the Gethsemane Baptist Church. Through God's mighty hand upon his life, Pastor Jeffries has transformed Gethsemane into a ministry that speaks to the needs of the whole man. Thus far, under his leadership, Gethsemane has established the following ministries: Women of Faith women's ministry (WOF), Marriage Ministry, Brothers in Christ men's ministry, Audio/Video Ministry, Transportation Ministry, Teen Summit, Youth Ministry, Praise N Motion Dance Ministry, Praise and Worship Ministry, Singles Ministry, Missions and Evangelism Ministry. Additionally, under his leadership, Gethsemane has outreached to serve Davidson and the greater Charlotte community through several initiatives, including Monday Night Live Basketball program, Back to School Break Out, and 3 on 3 at the Lake Basketball Tournament. These projects have served to take the living Gospel of Jesus Christ to the streets. A gifted musician and choir director, Pastor Jeffries also served in the music ministry for over twenty years. In this regard, Pastor Jeffries has shared God's gift of music through his life with various church, college, and community choirs. As a community leader and statesman, Pastor Jeffries has actively served as a member of the Lake Norman YMCA Board of Managers, North Mecklenburg Rotary Club, Davidson Elementary School Leadership Team, Bradley Middle School Leadership Team, and the Davidson Parks and Recreation Advisory Board. Pastor Jeffries is also a member of the Alpha Phi Alpha Fraternity Inc. He is married to the very lovely Lady Terry Jeffries. Pastor and Mrs. Jeffries are the very proud parents of two wonderful children, Jonathan and Haley. Pastor Jeffries invites you and your family to come and worship with our Gethsemane family whenever you are in the Davidson area.